Create a welcoming entryway or walking path with scattered lanterns or suspended string lights. The holidays aren’t the only time when a little twinkle goes a long way. Have a non-functional fireplace? Fill your hearth with candles instead. Nothing says cozy more than faux fur draped on a chair or underfoot, or chunky knit throws. Slipper socks don’t hurt, either. Set up a super-cozy reading nook and lose yourself in a great book. Designate a daybed, pile of floor cushions, window seat, or indoor tipi as your go-to curl-up space. 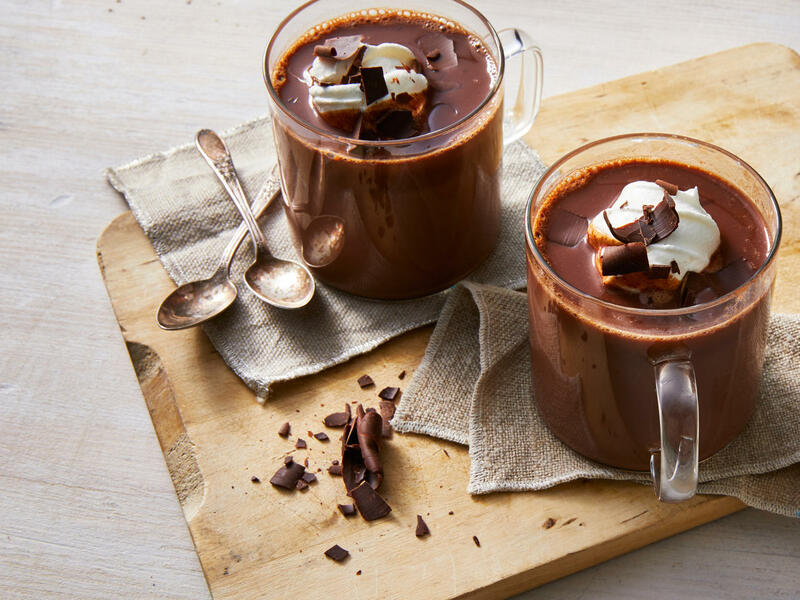 Treat yourself to the most decadent hot chocolate. This version has caramel mixed in. Have a firepit? Pretend you’re camping and make s’mores in the backyard. Amp up bath time by mixing in salts (see above for our DIY), essential oils, soothing herbs, or an organic bath bomb, and settle in for a soothing sesh. Add a few potted plants around your home. They beautify your space in a fully lived-in way and some varieties even cleanse the air. Or you can incorporate a few tropical varieties to channel an exotic vacay vibe on the daily. Settle in with a fun DIY project, like this chunky wall tassel. It’s super easy but lends some sophisticated boho charm to any room. 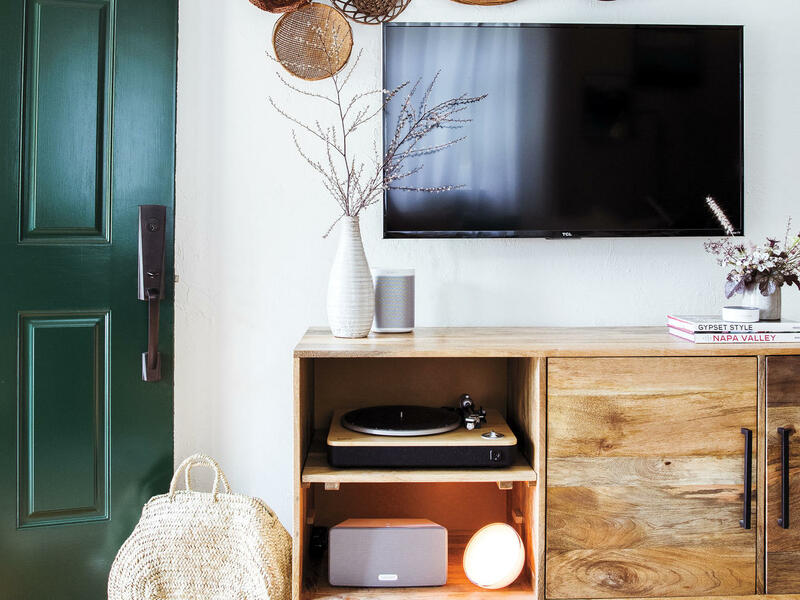 Install a smart entertainment system. You’ll be able to access the streaming content of your choice, control the lights, and fine-tune the audio for a just-right home theater-type experience.